When Mark overhears Abby's lie, he decides to cut her a deal: to keep his silence regarding their make-believe relationship, she'll come to live with him on his ranch until his broken arm heals. Mark was at the hospital getting his broken arm fixed by Abby when her ex decided he wanted to see her. Mark stood in and helped to get rid of him and she ended up looking after Mark at his ranch. Mark was a quiet sort of man still hurting from his ex and his best friend from years before. They had a fling with feelings supposed to be out of the equation. The ex kept making an appearance and Abby was worried. Decent storyline - introverted Mark is a rancher and previously burnt in the game of love. Abby is a nurse, her previous boyfriend ruined her self esteem. The book contains some grammatical errors it is also very stilted and does not flow very nicely. A very entertaining read. I like all the details. She made me want to walk on the beach. Thanks so much. This was the second book in the series I have read (I previously read and reviewed book number 2), one I was quite looking forward to. Unfortunately, it was just an alright read and wasn't as good as I had hoped. I'm not sure why that is really as the book is well written, I liked both the plot and the main characters and I thought that they were realistic in their discussions i.e. they didn't fly off the handle for the smallest thing and then refuse to apologise/discuss it and then run away. They were reasonably open about their feelings and spoke to each other. One thing I thought was unrealistic was Abby's ex coming back after a year and trying to win her back-and all the drama that came with that; it just struck me as illogical and that if he was so determined to have her back, he'd have turned up sooner. I think for those who are reading the series in order, it may help illuminate more the different characters in the series, but to me, it's definitely not as good as the second book in the series. I voluntarily reviewed this after receiving a free copy. 5.0 out of 5 stars'If I Can't Have you', of course you can have me! I've had the pleasure of reading books 1 & 2 from 'The Thorntons' series prior to reading 'If I Can't Have You', now I have the even bigger pleasure of continuing the series with Abby & Mark, having won this wonderful read from one of Iris' giveaways in her private readers Facebook group, Iris Morland's Mermaids. Thank you Iris for the signed paperback! If you have or haven't read any of the books in this series, you might or might not know what they are about. Please continue reading ahead if you aren't afraid of spoilers! Here we go. The Thorntons series follows the children of Dave & Lisa Thornton. They are; Caleb, Seth, Lizzie, Jubilee, Harrison and Mark. 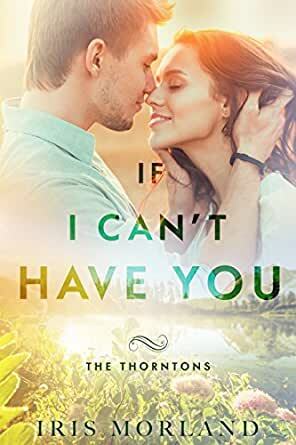 'If I Can't Have You' is where Mark & Abby's story begins! Mark and Abby have known each other for a short while, but their paths cross one night when Abby is on shift at the hospital as a nurse. Mark had been thrown off his horse, Samson, resulting in a broken arm. Prior to his spell in the hospital, he'd overheard Abby tell her mother that she and he were an item, not that Abby knew he knew this. So, he propositions her. He needs someone to look after him and his home while he's laid up and unable to work, in return for his mouth staying shut and not telling anyone that her lie to placate her mother was anything other than the 'truth'. 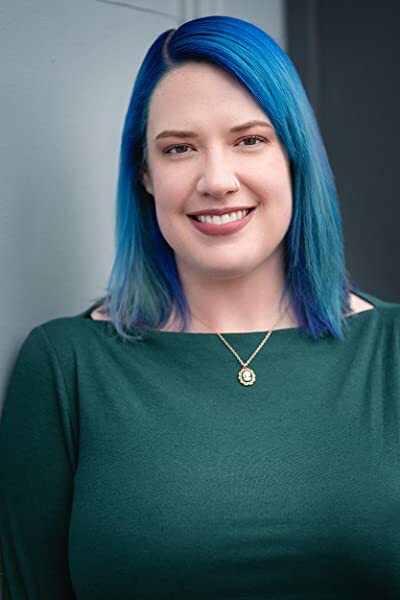 With Abby reluctantly agreeing, she moves into his house under the agreement that when his arm is fully healed and the cast off, she would not need to live with him anymore. From this moment on, neither of their lives would ever be the same again. Both for the better and worse. Being already familiar with Iris and her work, I wasn't surprised to find that I was unable to put this read down as each page went by. Only so much can physically happen in a cowboy romance as it does in real life, without a read turning to the more paranormal/fantasy-based realm, where anything could happen. Iris though, she managed to keep this read far from boring or mundane. Full of hilarity, drama and stubborn-headed cowboys, you'll find this read just has hard to put down as I did. Settle down for one of the best reads from one of the sweetest authors around, weather you're continuing on from book 2, or reading this as your first Iris Morland read, it'll be one hell of a ride! Can't wait to get 'Dream A Little Dream Of Me', Lizzie & Trent's story! This is the second book I have read by this author and I have been looking forward to it since finishing Caleb and Megan’s story recently. Abby and Mark featured in the first book within the series and I could feel their animosity / chemistry through the pages then - and it didn’t disappoint now. Mark is socially awkward and a bit rough around the edges. Abby is sweet but strong and self-sufficient. In theory they make an unlikely couple but, after a few stumbling starts, they gel well and seem to understand and appreciate each other. I thoroughly enjoyed their story and would recommend it. I voluntarily reviewed this book after receiving a free ARC.